Madhya Pradesh Chief Minister Kamal Nath’s close aides' houses in national capital and Indore have been raided by the Income Tax officers. 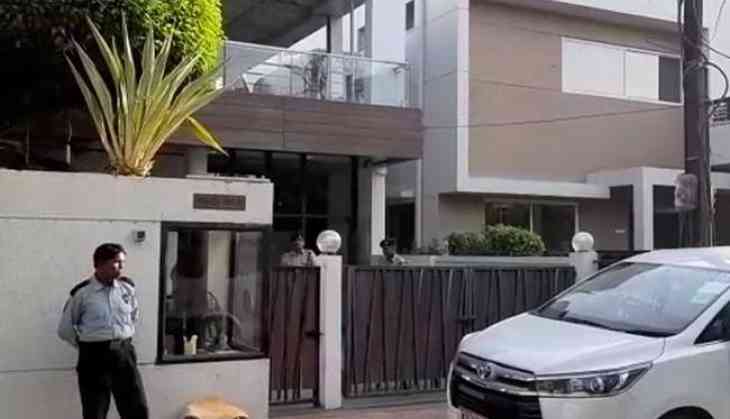 CM Kamal Nath’s officer on special duty Praveen Kakkar in Indore and advisor RK Miglani in Delhi were raided by income tax officers Sunday morning in connection with an alleged hawala (illegal transaction) case, reported news agency ANI. According to ANI reports, sources said Rs. 9 crores have been recovered, and a total of six places including the homes of the two officers were raided in Delhi and Madhya Pradesh. "I-T dept is conducting searches at 50 locations. Searches underway at locations of MP Chief Minister's OSD, Ratul Puri, Amira Group, & Moser Bayer. Searches also underway in Bhopal, Indore, Goa & 35 locations in Delhi. More than 300 I-T officials conducting the searches," tweeted ANI. A team of income tax officers from Delhi reached the home of Kakkar in Indore's posh Vijay Nagar at 3 am and started searching the premises, IT sources said. The two officers allegedly made huge cash transactions via hawala route during election season, IT officers said. The IT raids on CM Kamal Nath's aides comes a week after officers raided the premises owned by people linked to the Congress-Janata Dal-Secular (JDU) coalition in Karnataka. This move that was hugely criticised by Chief Minister HD Kumaraswamy and the Congress as misuse of the government's power to harass political opponents.